Ever get tired of hitting the bottom of a glass bottle of ketchup to add sauce to your burger? Well, one company started a Kickstarter campaign to create a Slice of Sauce. 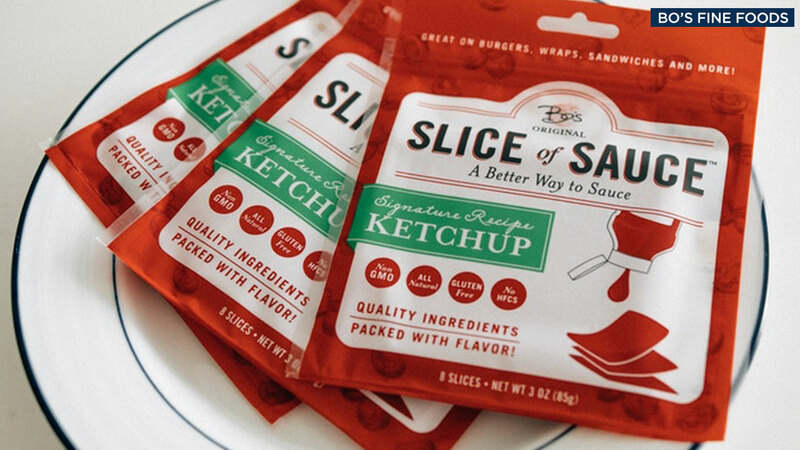 Bo's Fine Foods asked for $15,000 to create packets that contain thin slices of ketchup. Each packet will contain eight slices of ketchup that are separated by cellophane, according to the company's website. The sauce slices do not need to be refrigerated either. The creator for the Slice of Sauce hopes that people will take to it and enjoy a "perfect no-mess" option for sandwiches, wraps, and burgers. According to the company, the slices were developed when the owner of the company was experimenting with family recipes and wanted to make a "portable condiment." Accordingto the Kickstarter campaign, the company has surpassed its goal of $15,000 and has reached more than $20,000.